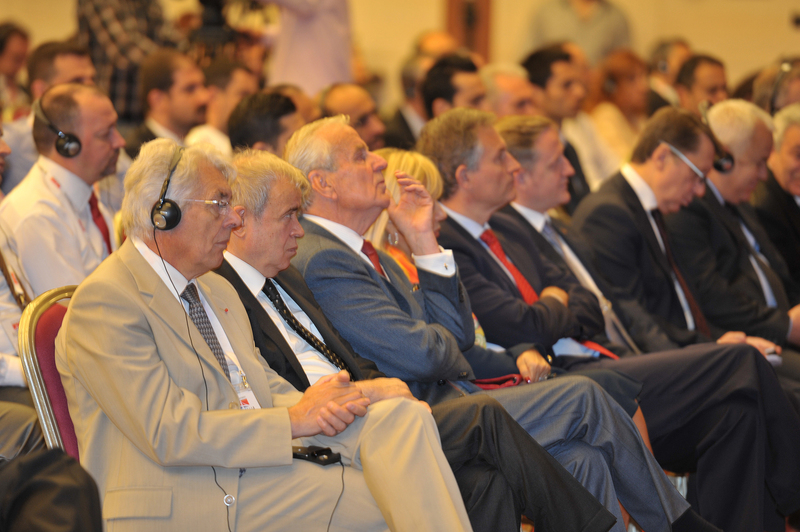 WTC Istanbul is a member of World Trade Centers Association (WTCA), since 1980. Your Gateway to Global Markets! With its economy being one of the fastest growing in the world, and hosting important ports that serve a huge landscape, Istanbul is a major trade hub in its region and in the world. Therefore, SMEs from all around the world are attracted to do business in Turkey. Part of a growing network of more than 320 World Trade Centers located in all parts of the world, World Trade Center Istanbul provides business matchmaking events, seminars, workshops, and networking opportunities for the international business community. 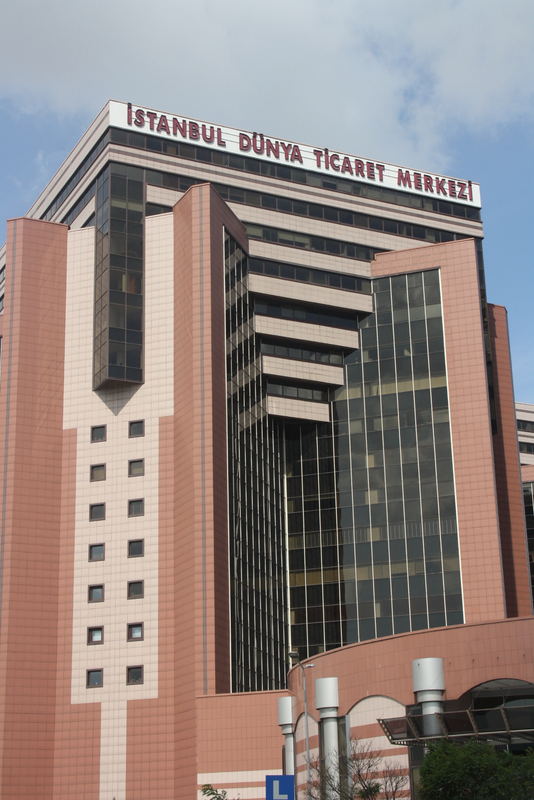 Serving as an access point for entering into the Turkish market, World Trade Center Istanbul was founded in 1982 by Istanbul Chamber of Commerce (İTO), the Union of Chambers and Commodity Exchanges of Turkey (TOBB), Istanbul Metropolitan Municipality (İBB), Istanbul Chamber of Industry (İSO), Istanbul Commodity Exchange (İTB), Business Development Foundation (İKV) and Bakırköy Municipality. B2B Business Matchmaking: We organize face-to-face meetings with qualified matches in Turkey, after passing through a tedious selection process that is shaped according to business goals of our clients. WTC Istanbul, located in an area of a total of 500,000 m², is one of the largest and most comprehensive trade centers in the world. World Trade Center Istanbul Complex is located across the International Ataturk Airport. The splendid facility could be easily reached by public transportation services and inside its premises there is a metro station. There are 3 separate blocks comprising of 17 office floors each and all plazas are interlinked by a separate three storey area, comprised of a food court and shops. The large parking space along with very well established security and maintenance systems makes our plazas a unique place. WTC Istanbul business center has been hosting its tenants since 2000. There are 43 stores and 115 offices located in each block, making a total of 130 stores and 346 offices in the Center. They are located on a total construction area of 95,000 m². The total rentable office and market area is net 67,000 m². The office floors and the food court have reached to its full capacity with 100 percent occupancy rate. Istanbul Expo Center is located in World Trade Center Istanbul complex located across the International Ataturk Airport. The splendid facility could be easily reached by public transportation services and inside its premises there is a metro station. 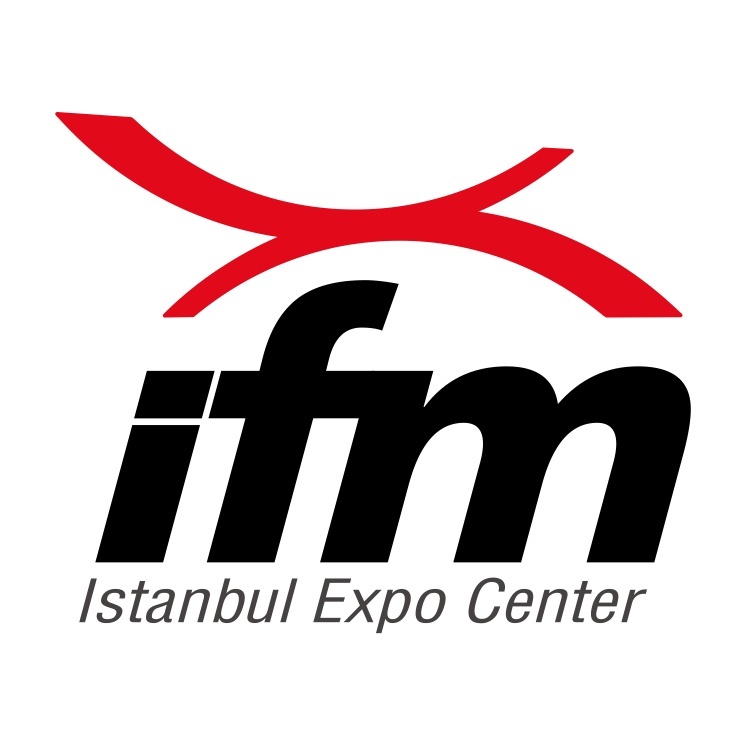 Istanbul Expo Center (IFM) is Turkey's largest exhibition area. The center stretches over 249.000 m² and the overall rentable area is 98.000 m² consisting of 11 exhibition halls. 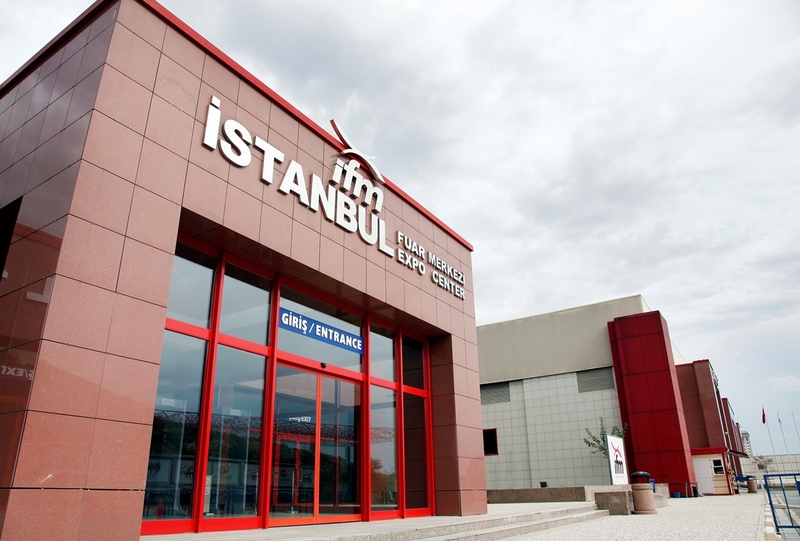 8 of these halls are run by WTC Istanbul's tenant CNR Expo, the rest (9-10-11) operated by WTC Istanbul. By taking Turkish exhibition organizations beyond world standards, WTC Istanbul profoundly strives to make Istanbul the capital of the exhibition world and currently plays host to approximately 100 exhibitions each year. 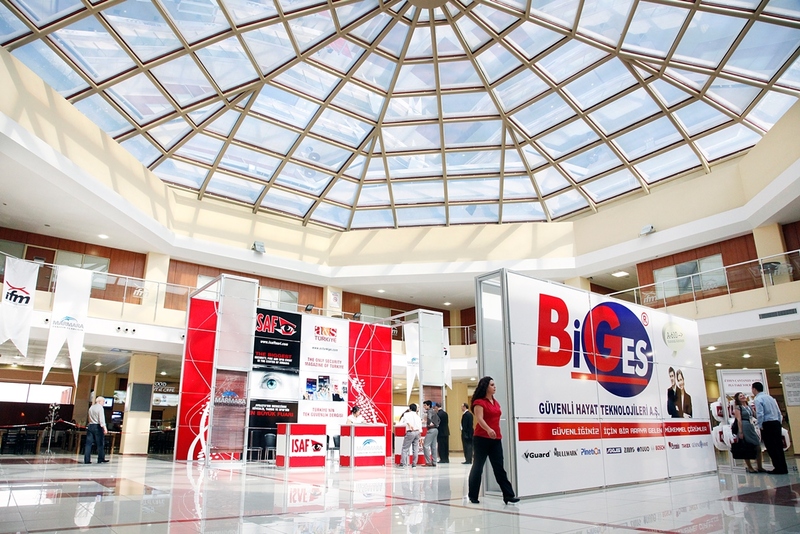 WTC Istanbul proudly possesses the biggest fair ground in Turkey and its close regions in terms of size and rentable expo halls. In connection with WTC Istanbul, the exhibitions held in Istanbul Expo Center attract hundreds of thousands of visitors, which open up new markets and opportunities for companies in global context. In addition, IFM launches IFM TV, an online service which broadcasts the exhibitions and the other events that take place in its facilities. 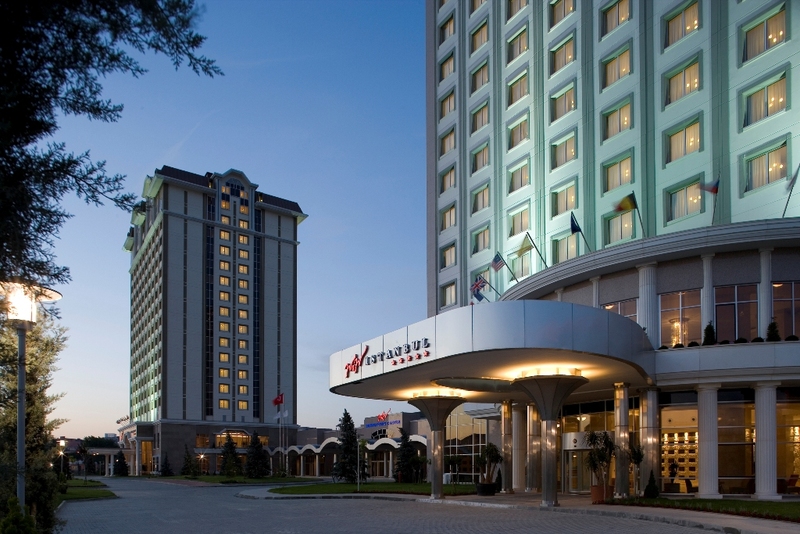 5-star WOW Istanbul Hotel with 278 rooms, 4-star WOW Airport Hotel with 360 rooms, and the 4,000 seat capacity WOW Convention Center are located in the WTC Istanbul facilities. With the renovation of the whole facility including 5-star WOW Istanbul and 4-star WOW Airport Hotels; WOW Istanbul Hotels & Convention Center aims to keep the guest satisfaction at the highest level as well as maximizing the comfort of guests. Comfort and technology has been integrated in the renewed rooms and the guests are offered details to begin the day in an energetic mood. Maximum comfort is provided in the suite rooms with high speed wi-fi internet, music player compatible with smart phones and charger, auto-controlled curtain and lightening system, specially designed bathroom and large worktable. Besides, goose feather and orthopedic pillow alternatives, floors designed for allergic persons have been thought for maximum guest satisfaction in the rooms. With a 4000 seating capacity, the WOW Convention Center is the biggest convention hall in Istanbul with first-class accommodation services. 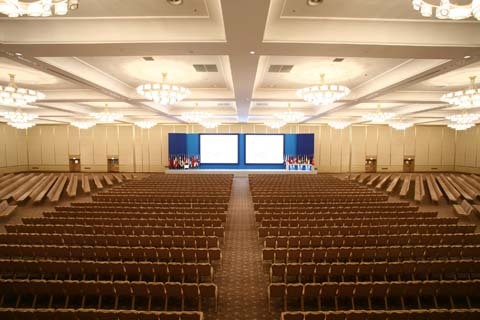 Designed to an international standard with all the needs of the modern business world in mind and capable of hosting major national and international conventions, meetings, trade fairs, fashionable weddings and other similar gatherings of large scale, the WOW Convention Center spans an indoor area of 3108 m² in total, featuring one column-free main meeting hall and 6 meeting rooms, all equipped with state-of-the-art communication and audio-visual technology.